Many Historians dubbed it "The Great Migration of 1843"
or the "Wagon Train of 1843"
The presentations has many original and historical songs and includes an accompanying multi-media presentation of historical paintings and photographs, enhancing the celebration of this event. Also presented are stories in Traditional Native American Indian Sign Language, information on the Oregon/California Trail and Morman Trail, The Donner Party, Gold Rush and much more. All of this presented by "Buffalo Bill" and Dr Jo performing on the Fiddle, Banjo, Mandolin, Guitar with exceptional Vocal Harmonies. 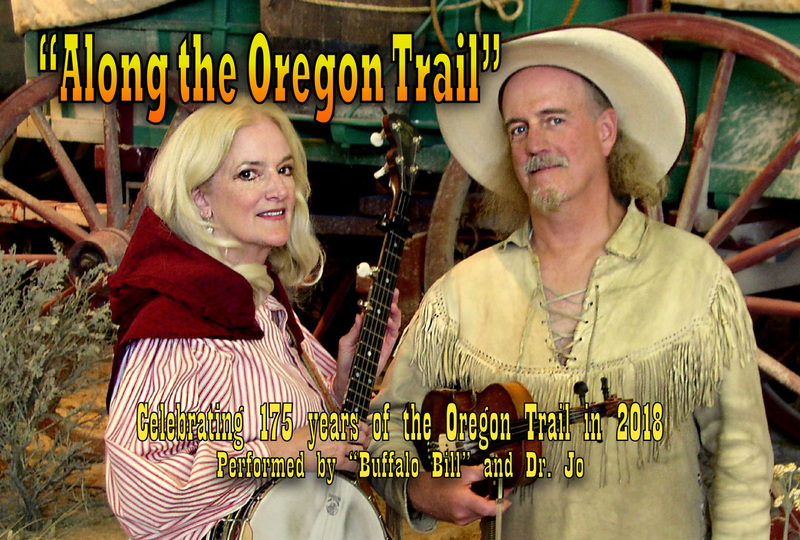 Buffalo Bill and Dr Jo performing a sample Trailer of "Along the Oregon Trail"